MONTREAL - Canadians are divided over whether they've been told the full story of the Sept. 11 terrorist attacks and many don't believe the Muslim community has been treated fairly in the decade following the attacks, a poll suggests. The Canadian Press/Harris Decima poll found that 42 per cent of those asked believed information about 9-11 is being intentionally hidden, while 47 per cent thought it was not. The belief was most common in Quebec and British Columbia, as well as those under age 35 and those with household incomes below $100,000 a year. 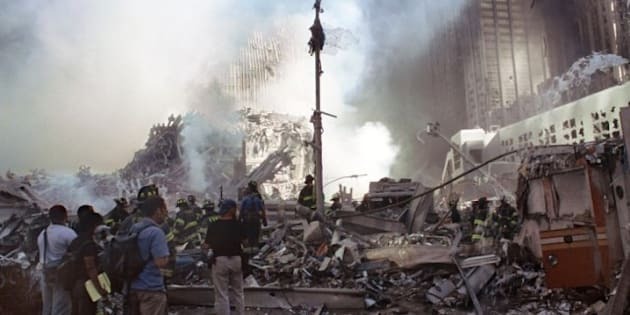 Doug Anderson, senior vice-president of Harris-Decima, said the results don't mean that nearly of half Canadians believe 9-11 was a conspiracy. "The question doesn't say whether that's something (information being withheld) you feel is appropriate or not, which I think is key," Anderson said. "When there's been such a tragic loss of life, I think it's possible that some of those people are saying 'hidden and appropriate' whereas others might be saying 'hidden, and it's a conspiracy to make us believe something that's not true.'" Divisions among those polled were visible along regional and demographic lines. Nearly half of Quebecers, 49 per cent, felt information about the attacks was being hidden, compared with only 36 per cent of those in Atlantic Canada. And 54 per cent of those polled between ages 18-34 though details were being withheld, while only 35 per cent of those over 50 felt the same way. The poll's findings are more murky when it comes to how the Muslim community has been treated. Some believe the Muslim community hasn't been treated fairly by the media and Canadian citizens in general since the attacks, the poll suggested. Anderson said those polled had mixed views on how the public has behaved, but pretty consistent views regarding the government's performance. "The government is being seen as taking a leadership role, and it's one that they've performed well," he said. Six out of ten respondents thought Muslims have been treated fairly by the Canadian government, but only 49 per cent of those asked feel that ordinary Canadians have treated Muslims fairly. Thirty-nine per cent felt Muslims have not been treated fairly. Around the same number, 48 per cent, believe the media has treated Muslims fairly, while 41 per cent disagreed. Overall, respondents gave themselves and their federal government high marks for the response to 9-11. Three out of four felt the Canadian government has adapted well to the post-9-11 world, while 17 per cent felt they had not. By contrast, less than half, 48 per cent, said the US government has adapted well, while 43 per cent felt they have not. "The government is being seen as taking a leadership role, and it's one that they've performed well," Anderson said. The poll of 1,000 Canadians was conducted between Sept. 1 and Sept. 4 and has a margin of error of 3.1 per cent, 19 times out of 20.